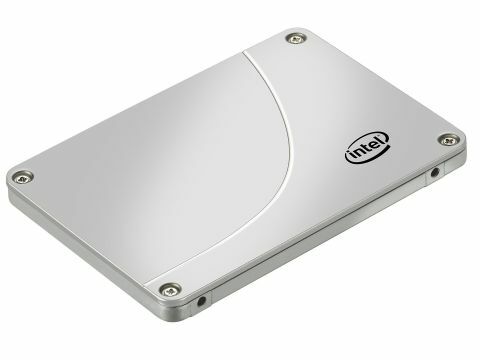 Intel is looking to SandForce to provide it with a performance-class SSD in the Intel SSD 520 Series 240GB. It changed tack about a year ago and started using third-party controller chips in its consumer class solid state drives (SSDs). From that moment on, it was almost inevitable that a SandForce-powered Intel drive would eventually appear. With the launch of the new Intel SSD 520 Series 240GB, and the other members of the 520 family, that day has finally come. Of course, SandForce SSD controllers aren't perfect. Thanks to the use of aggressive compression technology, impressive headline data transfer rates can sometimes translate into slightly pedestrian real-world performance. What's more, SandForce's second generation of controller chips suffered from a few stability glitches early on. Still, there's no doubting the popularity, success and strong, all round performance of SSDs based on the latest SandForce controller. Add in Intel's reputation for going the extra mile with SSD firmware quality control and validation and you have a very promising mix. The task for the Intel SSD 520 Series 240GB is clear enough. Not only must it rise above the hordes of SandForce based drives, it must also take on the new pretender in the form of the OCZ Octane and its refreshed Indilinx controller.